Maada Bio is a desperately evil fellow. Finding out that he cannot match the popularity and winsome personality of President Ernest Bai Koroma, the former junta leader who desperately wants power in Sierra Leone has decided on a spectacular new ploy–Spark civil war in Sierra Leone . If the alligator cannot catch the prized fish, then he must muddy the water completely and make it inhabitable for other acquatic animals and organisms. This is what the crazed power-hungry megalomaniac is trying to do with his scare-mongering in Sierra Leone. The ruling government must waste no time to carry out its threats to drag this irresponsible and loose-mouthed cowboy masquerading as a presidential candidate to court for seditious libel if he cannot provide evidence to prove that “the ruling All Peoples Congress (APC) has embarked on transporting ex-combatants from different parts of the country to register in towns in the South and the Eastern Provinces, the strongholds of the Opposition SLPP. Ex-combatants armed with weapons and other offensive instruments have already been ferried to Moyamba, Bo, Kenema, Pujehun, Kailahun and Zimmi. ” .This government must make Bio pay a dire price in court for this wicked lie so that other war-mongers in his camp would get the message that this administration would not allow anybody to push our nation back to chaos. This is sedition plain and simple. 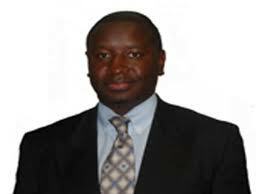 Maada Bio’s outrageous allegations are seditious because they are not only false and misleading , they are very dangerous, divisive and promotive of chaos in Sierra Leone. They also have the potential to sow enmity between the government and the people of the South/East. Only a psycho, somebody sick in the head , will contrive to tell such a dangerous a story that will not only spread fear among the people but will polarise the nation and set the country back on the path of war. Nobody wants to deal with “ex-combatants armed with weapons and other offensive instruments “ The atrocities they committed during the 11-year war are still fresh in the minds of Sierra Leoneans . Suspicions of their presence with these “weapons and other offensive instruments ” in our electoral process will definitely agitate citizens and it will be a call to arms. But this is exactly the scenerio this sick and power-obsessed former junta leader wants to recreate in Sierra Leone. And this is why he must be frogmarched to court to answer to charges of seditious libel if he cannot provide evidence . Bio’s allegations are also inimical to regional peace and security . He chose the South/East purposely as the fictional scenerio of his fabricated story because he wants to inflame the passions of citizens from that region. He wants to incite them and sow in them dread, scorn and disdain for the government , passions that could force the South/East to develop a seige mentality and rise up against the government. Why would the government leave its strongholds in the North and ferry dangerously armed ex-combatants to the opposition’s strongholds ? Is the allegation not designed to incite regional chaos ? Maada Bio and his SLPP supporters have become very dangerous on the political landscape, not only becoming law unto themselves and inciting the people , but doing with impunity what they accuse others of doing. . When pro-government journalists speak out their minds, SLPP fanatics accuse them of trying to create chaos in Sierra Leone. Even a harmless article outlining Maada Bio’s violent and bloody past as a junta leader is described as an attempt to bring chaos to Sierra Leone. Journalists must not write because the SLPP and Maada Bio are such mammoth sacred cows . Yet, they are free to make tribally and regionally-explosive and divisive allegations on radio, TV, print and online newspapers and discussion forums and Sierra Leoneans must accept them because when the SLPP does anything, it is alright . Only God knows what is responsible for such mentality in SLPP supporters. Another dangerous allegation that Maada Bio supporters made recently was published by the SLPP rag sheet called newspaper, GLOBAL TIMES. It said that the APC Government plans to ban the Poro Society ahead of the November elections. Again, knowing how culturally passionate South/Easterners are over their Poro Society, this is another false allegation designed to set up the South/ East and the government for chaos . The International Community must stop paying heed to Maada Bio’s crocodile -like complaints .He is the aggressor who is all over the place either inciting his supporters to take the law into their hands or trying to spark tribal and regional war .His complaints are hypocritical and deceptive. Maada Bio is nothing but a loose canon and an ill-wind that will blow nobody any good. He is a disgrace to politics and a danger to society and we hope the whole nation gives him a thumbs-down in November.